You're probably already familiar with some of the amazing benefits an art education offers your kids. These are all wonderful benefits, and even if we just stopped right here, it would be enough to see why art is an important element to include in your kids' education. Art has been an essential part of countless civilizations dating back to prehistoric times. The emotional and intellectual benefits are clear. Most families really do value the importance of art, and try to incorporate art making and art appreciation with their kids. But, as our lives become busy and overbooked, art has a tendency to get pushed down the schedule as something we'll get to "if there's time," and when other activities take up the day, it falls off completely. Even in many schools, art is considered an elective. Art shouldn't be seen as optional. Art is integral for kids! Let's make it a priority. "Children need art and stories and poems and music as much as they need love and food and fresh air and play." And it's true! When some form of art exploration is consistently included in a child's education, amazing things happen! Take your art studies to the next level! you worry that you won't have time to include art in your schedule, you don’t have enough art supplies, or you think it will be too messy.I want to invite you to join The Studio! You are not alone! But, with a little help, you can confidently and effortlessly introduce your children (of different ages and skill levels) to amazing art each month… even if you don't have a lot of time, a degree in art history, or a fully stocked art room at home! The Studio allows busy (and non-artsy) families to have SO MUCH FUN exploring art together! Extra archived bundles. Each month you'll be able to download one of the older lessons from previous months in the membership. We've been studying art for 19 months, so there are lots of fun subjects waiting for you. And As A Back-To-School Bonus, You'll Get Some Fun Extras When You Join This Month! 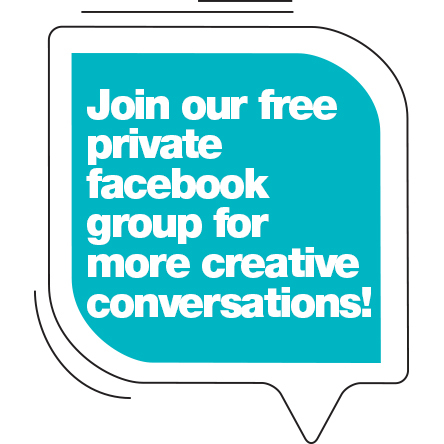 Once you've signed up, hop into our private Facebook group and introduce yourself! Let's chat about art! Making Art Meaningful: a course for parents. This online course walks you through the basics of teaching art in a way that encourages creativity and critical thinking. A coupon for you to download two archived lessons! In the membership, you'll always have access to the current month and the past 3 months of lessons, but older months are retired. Join this month to receive codes to unlock two extra month-long lessons! A set of 5 artist quotes you can print out and display in your creative area. These bonuses will help you start the school year with confidence, inspiration, and FUN!